Gearwheel graphics for presentations and PowerPoint illustrations. This PowerPoint set includes gearwheel graphics as well as diagrams and charts in a gearwheel design. Relations and coordinated connections can be easily presented with gearwheels. With an analog illustration of interconnected and coordinated elements, you can easily stress togetherness and teamwork, but you may also express a technical and mechanical context that directly relates to geared processes. By using predefined graphics, you stress your professional performance and receive valuable tools to highlight your statements. 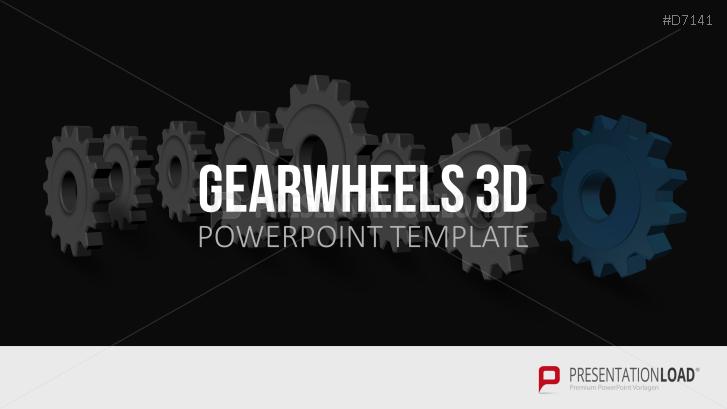 This PowerPoint set includes a collection of illustrations, icons and charts that consist of gearwheel graphics and exemplify the collaboration of a gearwheel network. To enhance your professional appearance, use our predefined illustrations and combine various PowerPoint templates and you will deliver a convincing performance. Nothing too crowded, which is a weakness of PPTs produced by others.